Busy and Hot but BEAUTIFUL!! We luckily got the last spot in the campground on a hot day in May. The goal was originally to spend the day on the lake and then end the day hiking the Fire Wave so it wasn't super hot. Well, we woke up at 7:30 and it was already getting hot and busy so we decided to head up to the Fire Wave to start the day. We finished the short 1 mile round trip hike before 9 am and it was already 90+ degrees. By that time of day there were hundreds of people hiking all around out campsite so we headed out for the day. I think coming here when it isn't a break or the weekend would be ideal. We just happened to pass through during the busy weekend when the Vegas vacationers came out for a day trip. I drive through here during the week in March and it was silent and desolate. Absolutely beautiful to be out there solo. Water is scarce so be prepared for that. 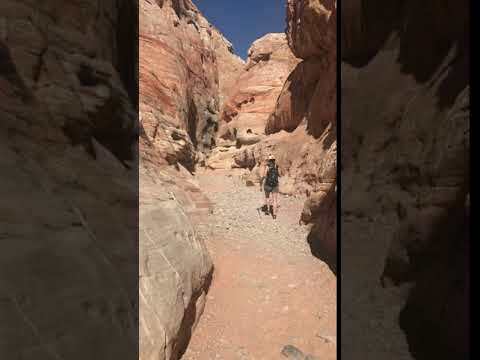 Also, swim beaches are not near Valley of Fire so be prepared to drive through the beauty of Lake Mead Recreational Area to get to a place where you can jump in. This place is amazing! The igneous rock takes your breathe away. We go camping here every year. Campsites are spread out nice. They have 3 walk in sites that are away from the other sites, those are our favorite ones. It's not far to walk your stuff up to the sites. A great campground among the gorgeous red rocks. Clean nice showers and bathrooms. All sites have nice picnic tables and firepit/bbq. Absolute Silence at night. Even when the campground is full. stars so bright. Longhorn everywhere. If you can sleep in the desert, this is the place to stay. it’s perfect. This is a very hot but wonderful place to visit! Coming back a for a second go this summer (2018) showing my kiddos the wonders of the desert life. It is best to go later when the sun is cooling down although it will still be hott! Seeing Elephant Rock, the lizards, and crawling around the wind whipped terrain made me feel like I was a child again on a new playground. Bring water and take in the heat! 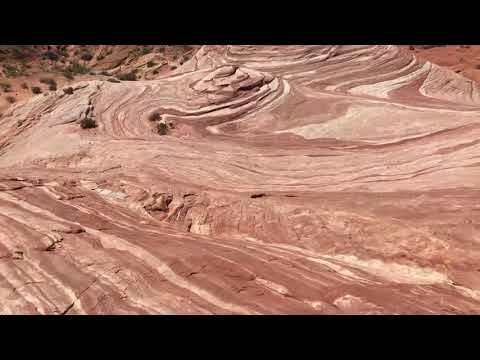 Don’t skip Valley of Fire! Some of the most beautiful views I’ve ever seen. We made this a stop as a last minute decision and it was probably our favorite location. The White Domes trail is short but well worth it!! The campsites have nice facilities like water, showers, grills and covered (shaded) picnic tables. Roomy campsites and pretty private. An excellent variety of trails to suit any level visitor! The trail to Mouses Tank is super easy and petroglyphs are abundant to the naked eye. A couple of the trail are marked "easy" yet I found them to actually be "moderate". The park is a bit over crowded on weekends yet empty in sections further in the park interior. Enjoy! Don't forget to peek over the hill and see the actual water at the end of the tank trail. A waterfall briefly appears during a rain and you have to be at trail end during or immediately following a summer shower. Hands down an absolutely beautiful park! There are so many massive boulders, and rocks to climb on and around everywhere. There are only two different campsites in the park that have a small fee so make sure to bring cash, there are also drop toilets and each numbered campsite has a picnic table with chairs and a shade cover. The campsites are nestled right in between the rocks which make for a beautiful stay. There's a variation of hikes you can do which range from a couple of miles to just getting out of your car. It includes very interesting petroglyphs, cool rock formations, and lots of picture opportunities! I went in the beginning of the year and it actually started to rain/snow overnight. We also brought our dogs but had to keep them on a leash while on the main trails and at the campsite. The park also has a visitor's center .